This “new old farmhouse” is a magnificent example of what can be done with small and outdates spaces. According to the designer’s Houzz account, the original house was “small and unsightly” and could not be used to create a high-quality modern home. 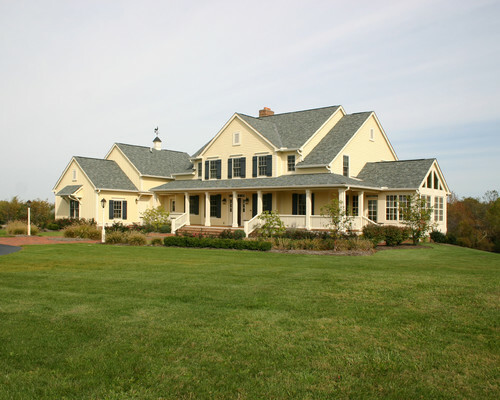 Instead of dealing with the complexities of a remodel, the home was demolished and this gorgeous farmhouse was built in its place. The existing barn, on the other hand, was usable so it was converted into a pool house! From the immaculate exterior to the bright and stunning interior, this country home has a lot to offer. While it has the subtleties of a classic farmhouse, it also has plenty of modern comforts and luxuries, as well as contemporary style. The exterior landscaping on this home was clearly done with care. 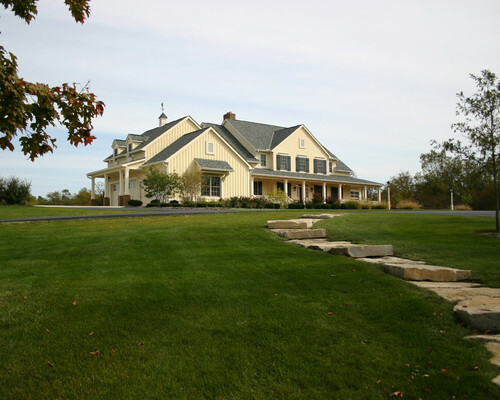 The lush lawn and rustic rock pathway give the outside a welcome county look. 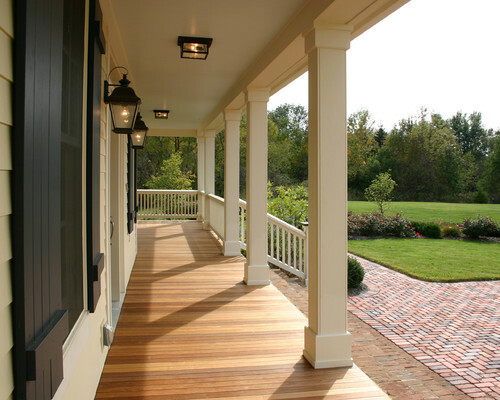 One of the best features of the exterior is the large porch. 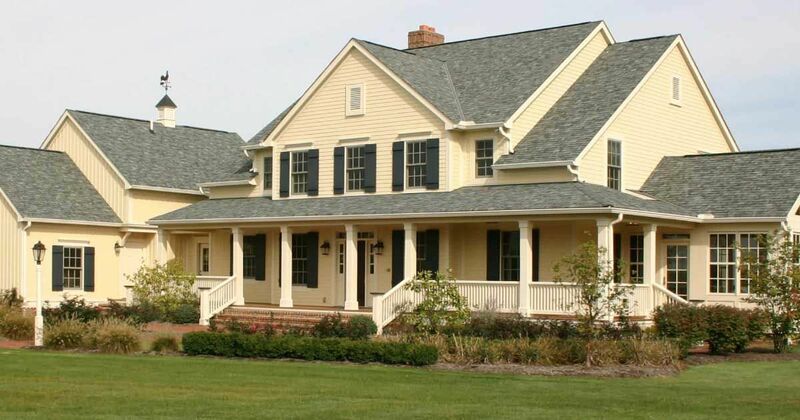 With white pillars against the faded yellow siding, the home has a peaceful yet vibrant character. The front of the porch is highlighted by the engaging wood panels that perfectly complement the brick pavers. Inside or out, the stairway is one of the most interesting features of the entire home. 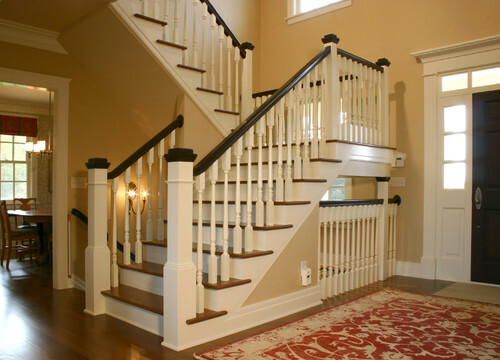 The deep rich railing across the top contrast the white balusters, making for an elegant stairway that maintains its country roots. The view of the stairway from the top is even more splendid. 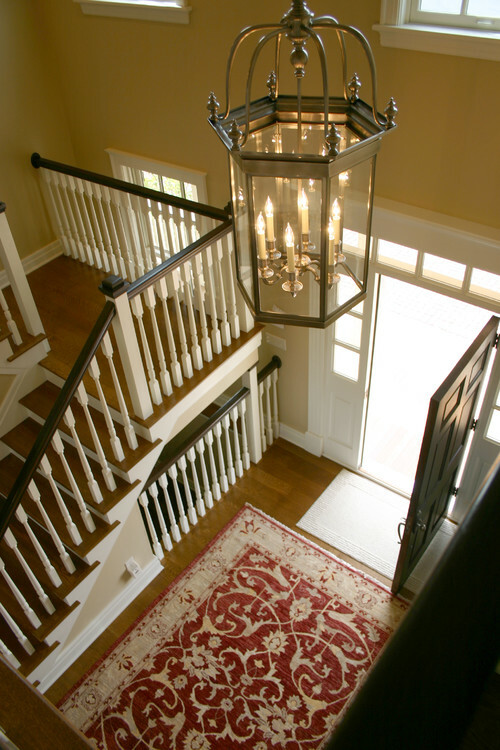 From this angle, the rich wood floors and elegant chandelier seem to demand your attention. 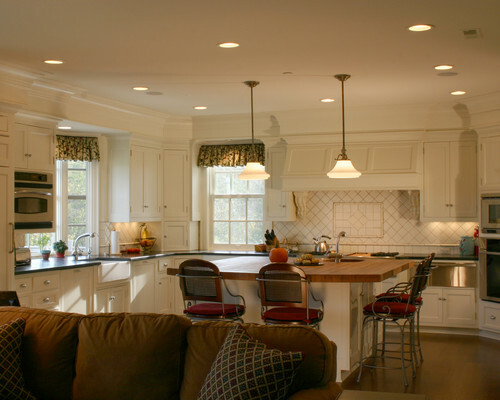 The kitchen has a simple country-inspired design that looks comfortable and welcoming. It’s easy to imagine a homeowner baking a Cornish hen or creating a pot of chili in this family-friendly kitchen. 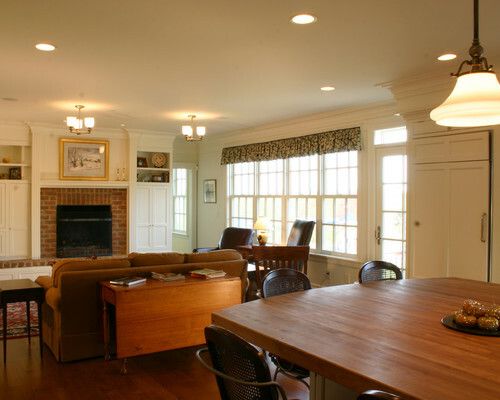 Adjacent to the kitchen is the living room, which gets plenty of light thanks to the large windows. The brick fireplace creates a scenic area that breaks up the white paint found throughout the room. 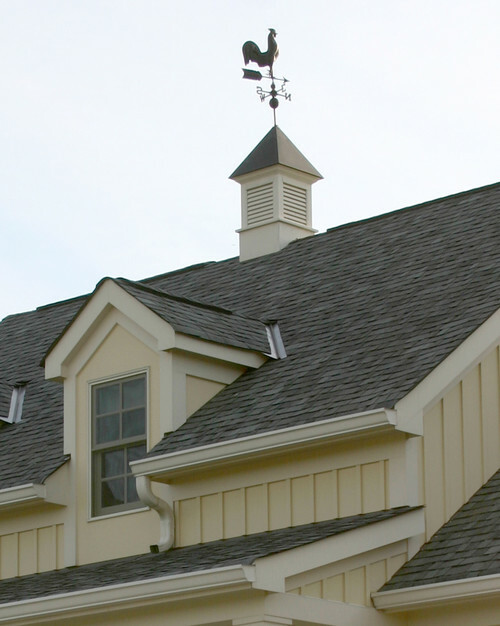 Topping the house like a feather in a cap is this weather vane. While it’s surely more decorative than functional, it gives the home a country feel and might even come in handy when the wind is up. What do you think of this home? Would you like to live in this gorgeous farmhouse? Share it with your friends today!